Just a few images from the Chilean countryside! 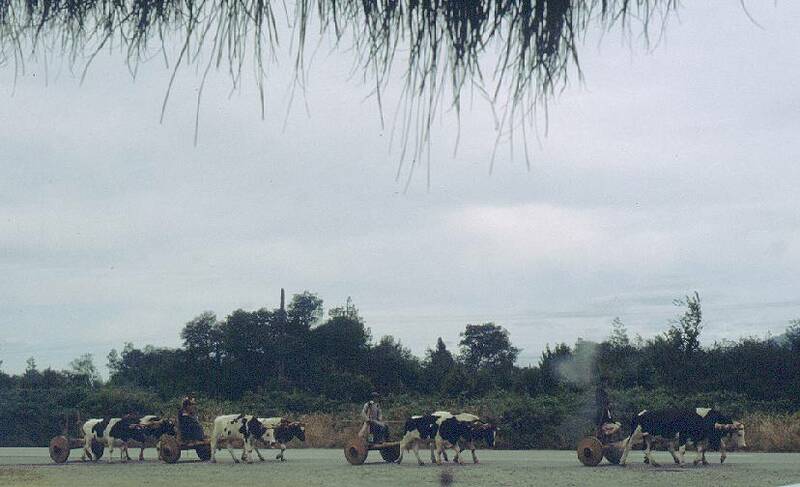 It's becoming ever harder to see these traditional vehicles with massive wooden wheels cut from a tree trunk. Even more so finding several of them together! Some Mapuche people are often not pleased when one points at them with a camera. I prefer not to stress such situations and just stay with a distant, non-detailed photo. 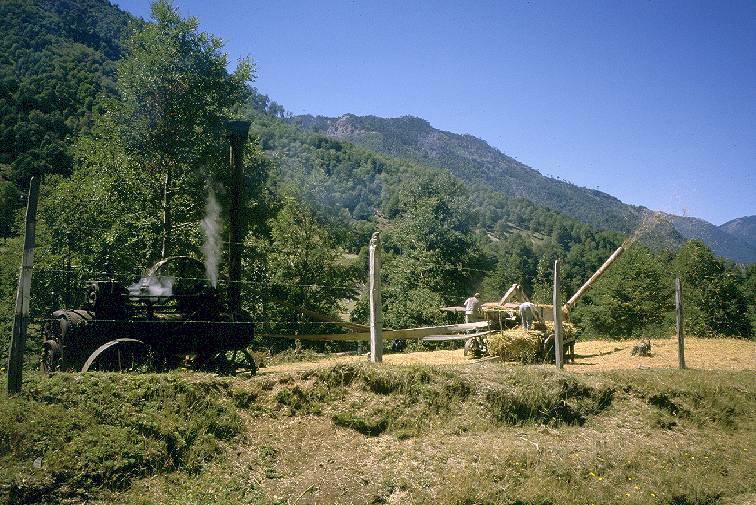 The old transportable steam engines of English, German and American manufacture were once the main source of power in agriculture, challenged only by oxen. Today most of these machines have been scrapped, with many ending up on display in museums. But a considerable number is still in use and well-maintained! This photo was made in 2000. 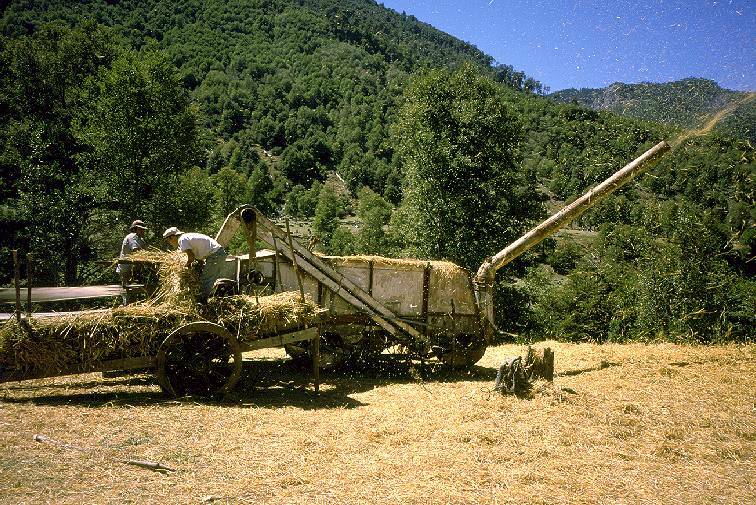 The threshing machine is not so much newer than the steam engine, but proper care aided by lots of improvisation keep it going like new!